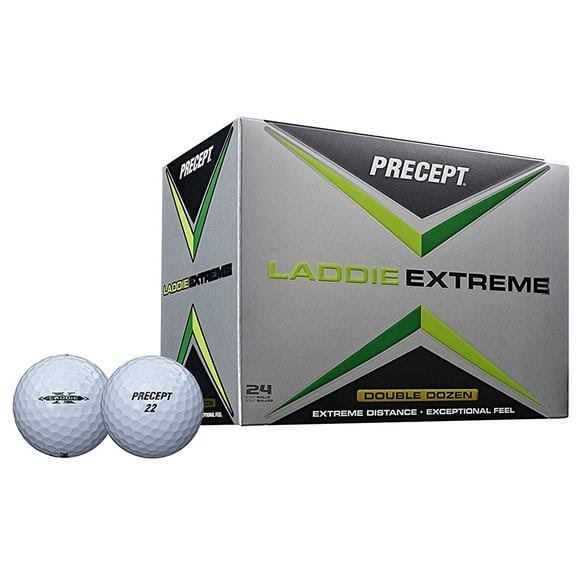 Bridgestone's Laddie Extreme leverages its enhanced Muscle-Fiber Core to generate extreme distance off the driver with high launch and low spin. The soft feel comes from its Touch N' Control lonomer cover providing great feel from tee to green. Bridgestone &apos;s Laddie Extreme leverages its enhanced Muscle-Fiber Core to generate extreme distance off the driver with high launch and low spin. The soft feel comes from its Touch N&apos; Control lonomer cover providing great feel from tee to green.